I've wanted a cloak to wear during winter for a while. 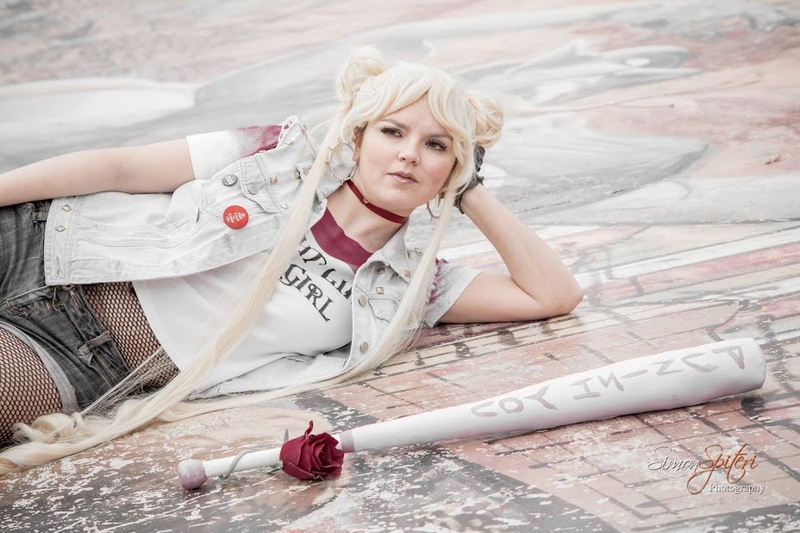 I'm also trying to use up some of the materials in my collection. I had black cotton with a fleur de lys design, and this beautiful feathery faux fur. 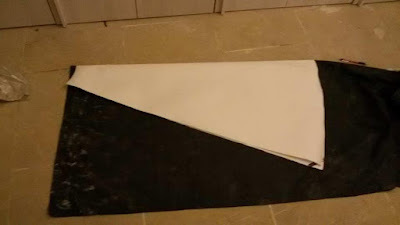 I decided to make a cloak using these materials. 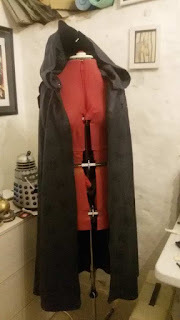 In hindsight, I didn't have quite enough cloth so this cloak is a bit small for me, but it should be fine for winter, it just won't close all the way shut. 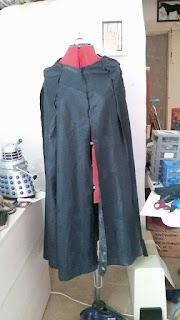 The pattern I used was for a 1/4 circle skirt, using my neck measurement at the circumference. I would recommend making a 1/2 circle skirt, because you'll have a lot more material to work with. Many cloak tutorials recommend this, and for good reason: a 1/4 is a little tight on the shoulders. I cut out a back piece and two front pieces initially (from the outer material and the lining: I lined my cloak with wool and faux fur). I wanted to add slits to the front for my hands, so I also cut the front panel in half. 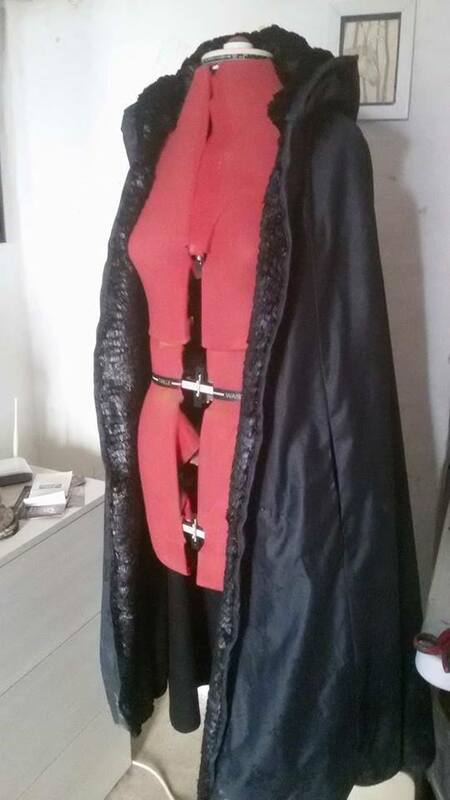 I prefer this look to that of bound slits. I draped the pieces on my dressform and played with fit. 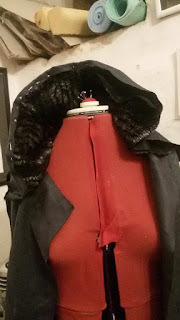 I made the neckline slightly lower and altered the shaped of the shoulder seam for a better fit. Once I was happy with the look of the cape, I drafted and cut out my hood. 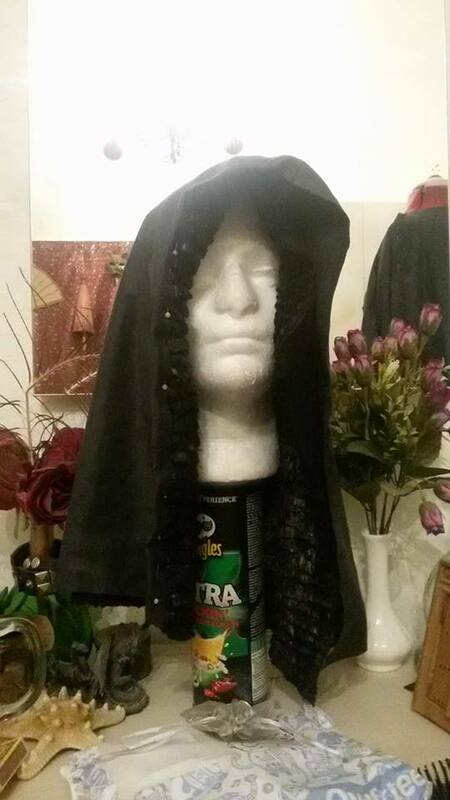 The hood is very large and is lined with this beautiful faux fur that I bought in Hungary. It was expensive but worth it. It resembles feathers, and is very soft to the touch. Once all the pieces were cut out, I started to assemble my cloak. I should have been a lot more careful with my pattern cutting, as some the seams did not match up lengthwise. 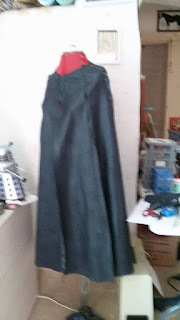 I think I should have sewn the side seams and left the cloak to hang, because the differences in seam length was probably due to the cloak stretching as it hung from the dressform (circle skirts stretch in this way as they are cut on the bias, the stretchiest part of the fabric). Oh well, next time I'll be more careful. 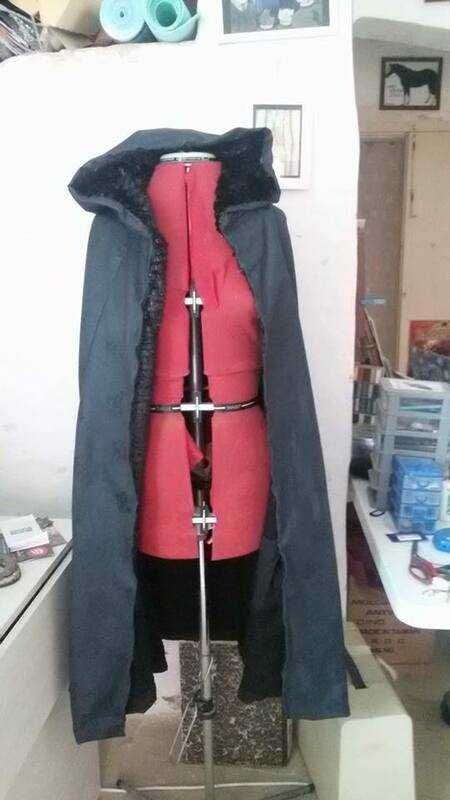 I also made things more difficult by adding faux fur to the front panels. I had just enough to cover half of each front panel. 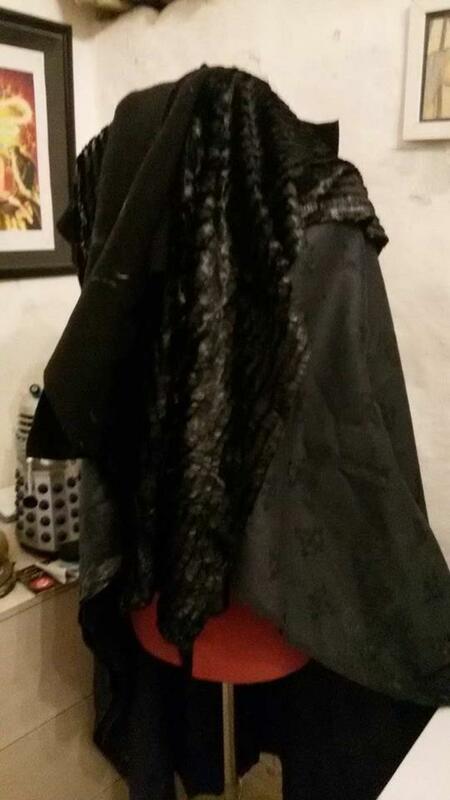 I cut up my fur and sewed it into long rectangles, then attached that to my lining and played around until it fitted. 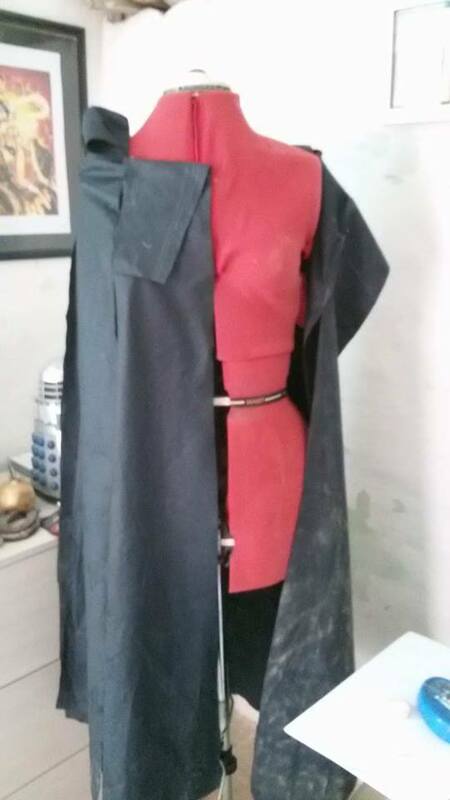 Next time I will actually draft this on to my paper pattern to avoid all this imprecise messing around. Luckily the end result looks very nice. 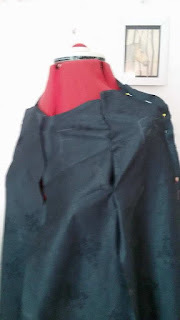 I sewed all the sides seams and ironed them open. I put the cloak back on the dress form to help me match up all my seams, then I hand sewed the edges of the slits shuts, then handsewed the lining to the cloak (I remembered to add internal pockets before I sewed all of the lining to the cloak). 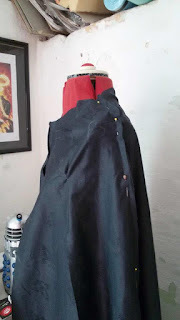 I was inspired by Angela Clayton's cloak tutorial, as her cloak had a mostly handstitch lining and looked very lovely. 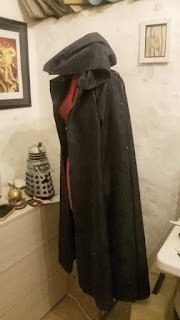 I sewed on the hood in two parts: first I sewed the outer fabric to the neck of the cloak, creating a strong seam, then I used a whip stitch to sew down the fur lining of the hood. To hem the cloak, I cut a strip of bias tape and sewed it on to the hem, finishing it by hand with a whip stitch. 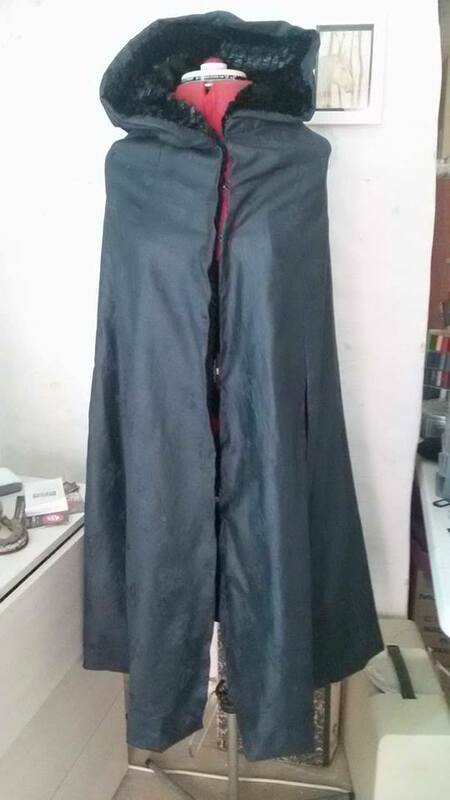 I'm not too pleased with the hem, but it looks neat from the outside. 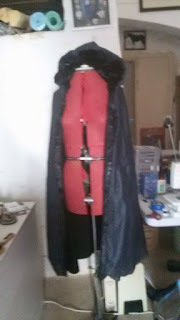 The last step was to sew a few hooks and eyes at the neck to fasten the cloak, and then it was done.